In December, RA was voted The Anglophile Channel‘s Favorite British Artist of the Year, and today sat down with The Anglophile Channel Creator and Executive Producer Marlise Boland for what appears to have been an extensive interview. 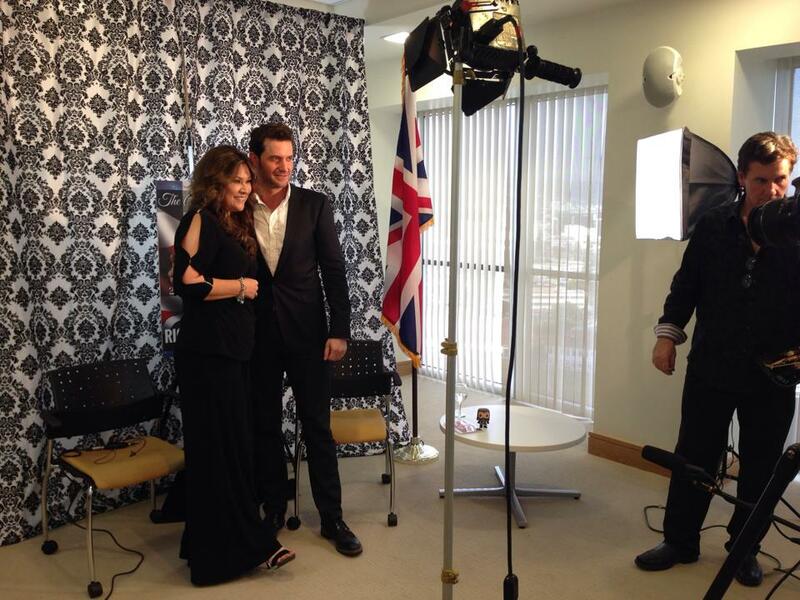 Around the same time, other photos were released by the LA British Consulate of RA signing the guest book, and a photo of Marlise and RA standing on what certainly appeared to be the interview set… what a lovely idea, to hold the interview in the British Consulate. I’m so happy The Anglophile Channel and its creator made such a terrific impression! 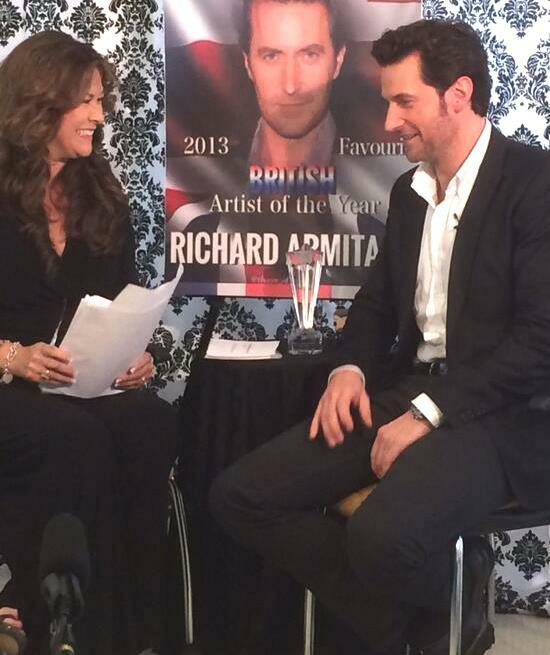 RA accepts his “British Artist of the Year Award” from The Anglophile Channel’s Marlise Boland. Ah-HA! The infamous office-chair race! I cannot stop laughing! I can’t WAIT to see this VIDEO! Thanks, thanks, THANKS, The Anglophile Channel! 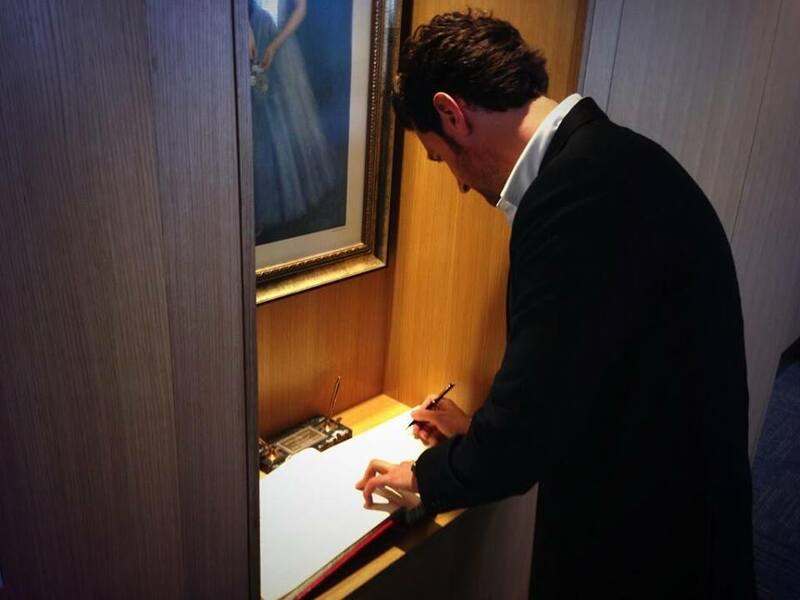 RA signs the legendary Guest Book at the LA British Consulate. 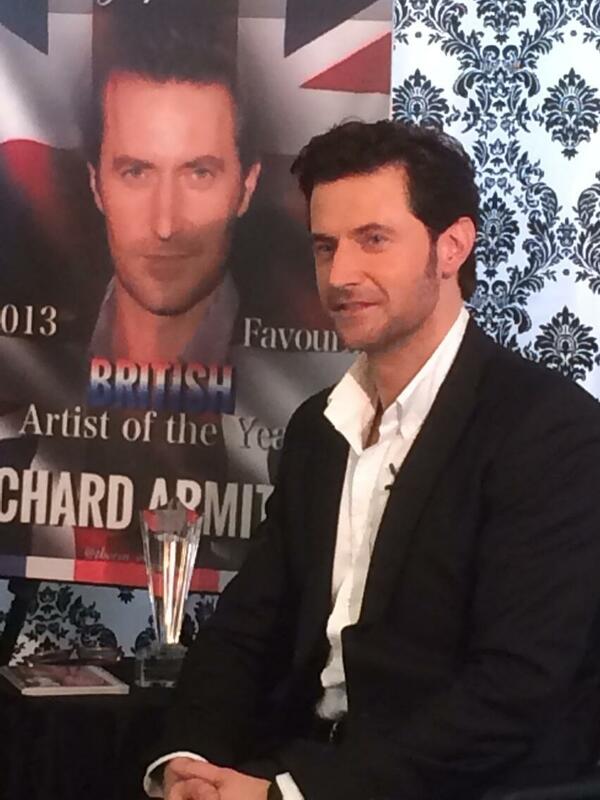 The man himself: Richard Armitage, voted by fans the “Favorite British Artist of the Year (2013)” in a heated competition! Another photo from The Anglophile Channel shoot: RA admires our FB pal Thorin of Erebor’s work on the poster done for the interview! More photos… Sorry for the delay, but – contrary to many people’s opinion – I do have something of a life! RA even submitted to questions from his “well-wishers,” as he likes to call them! Wonder if any of mine made the cut…? 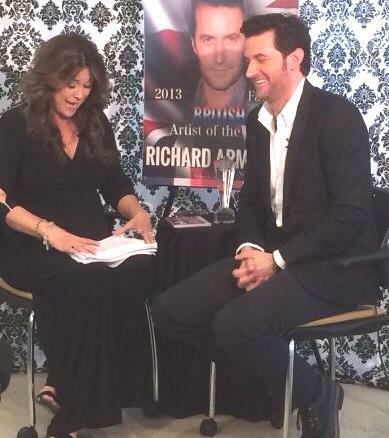 The Anglophile Channel’s Marlise Boland reports that they laughed all the way through the interview. I love that she established that rapport with RA; it’s so important for him to be relaxed and loose in an interview. 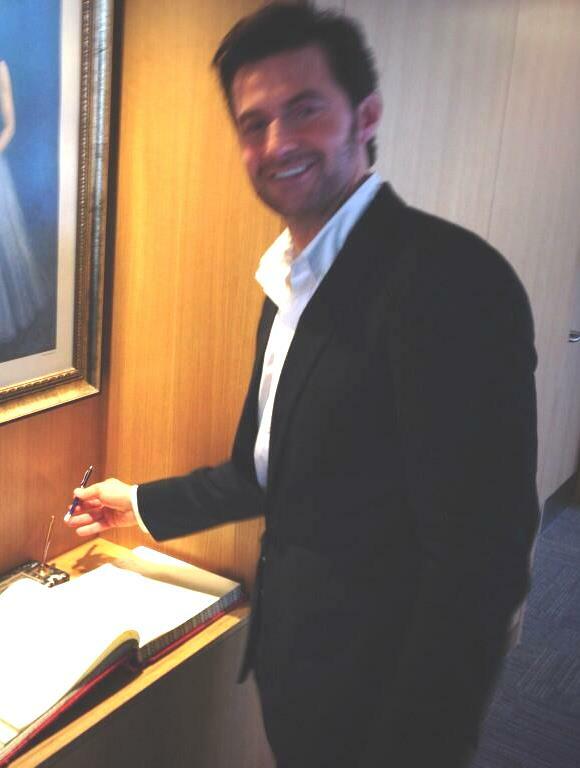 The legendary guestbook now includes the signature of the distinguished British actor Richard Armitage! You can follow The Anglophile Channel on YouTube, Facebook, and on Twitter. We also invite you to follow Richard Armitage US on Facebook and Twitter! Thanks for your comment! Let me just tell you: it is NOT just you! He is so generous and gracious to his followers and the media. He is a true gentleman of the old school… if the gentleman was a little playful. Have you seen the video teaser? IT IS A HOOT! Your German is quite good!!! Thank you, Herba, but I owe it all to Google Translate. It’s a life-saver when you have an international page! Ah, just water… Sorry to disappoint. (But if it had been vodka, that could’ve explained his completely mischievous and relaxed attitude!) That, however, is completely due to Marlise Boland, and her remarkable ability to put him totally at ease.